Zahra Motamed moved from working in industry to studying cardiovascular blood flow because she wants to help save lives. Since 2008, the McMaster Innovation Showcase has raised awareness of the university’s role in helping local businesses and economies grow. 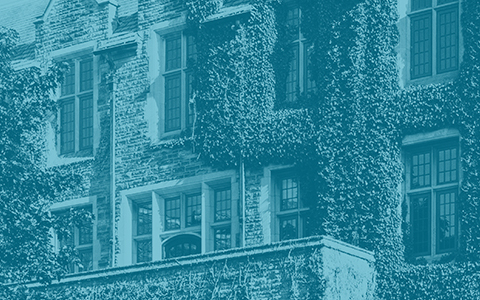 Hosted by the McMaster Industry Liaison Office, the event includes keynote speakers, panel discussions, open houses at entrepreneurship hubs and more. Along with highlighting McMaster’s research, the Innovation Showcase also builds and strengthens private-public sector partnerships, and provides a venue for local business leaders and government officials to learn more about the university’s facilities and technology. Biomedical engineer Zahra Motamed is one of the researchers showcasing their work this year. She is an assistant professor of mechanical engineering, and her research focuses on biomechanics and fluid mechanics in relation to cardiovascular disease. I’m a mechanical engineer, specifically studying fluid mechanics — of human blood flow. The essence of our life is not actually blood, but the fluidity of blood. Pathologies in cardiovascular science are of mechanical and fluid-dynamic nature, and they are best quantified using mechanics. I want to apply our mechanical engineering knowledge to the field of human health and save lives to an extent that has never been possible in the past. I’m also involved in developing cardiovascular devices — invasive and non-invasive — such as heart valves and vascular stents, as well as sensors for smart houses and smart vehicles that will monitor blood flow and blood pressure. Cardiovascular disease is the leading cause of death globally, taking more lives than all forms of cancer combined. In Canada, one in every four deaths is from cardiovascular disease, which costs our economy more than $22 billion every year. I worked for nine years in industrial R&D. Over time, I realized I could better use my life contributing to human health. I started working on blood flow dynamics because I really want to have impact on human health. One project I’ve worked on is coarctation of the aorta, which is a congenital heart disease of newborns. For many kids it can be very painful. It’s important for me that my work has an impact on actual human lives. A key to success in our field is working with our clinical collaborators. I’m working with clinicians in Spain, at Harvard, MIT, the University of British Columbia and here at McMaster. Our work tackles very profound scientific and engineering challenges, but to translate these engineering findings and development into clinical practice, we need to perform very, comprehensive validation and verification, using patient’s clinical and medical images, and their data. Whatever we develop must work with the complex conditions of the large network of blood vessels in the body. Not only is discussing these things with clinicians very helpful, but they work to anonymize their patient’s clinical data and imaging and make it available to us so we can ethically use it to develop our tools. Otherwise, gathering the data we need would involve more invasive procedures, and those come with a risk to the patient. Outside the lab . . . I wish I had more free time, but when we can, I love taking my twin daughters to Canada’s Wonderland. There’s a picture of us on a ride there and everyone else looks happy but it’s so obvious from my face how scared I am. I also love to cook — especially baking, which is really fun to do with kids. And I love to read and to swim. Right now I’m reading a lot of books about cardiovascular science, but when I have free time I’ve always enjoyed reading books on history and philosophy. The last movie I watched was Something the Lord Made, about the first heart surgeon in the 1930s, a cardiac pioneer who was originally hired as a janitor. It has a really interesting message, and I’d like to share it with my students. 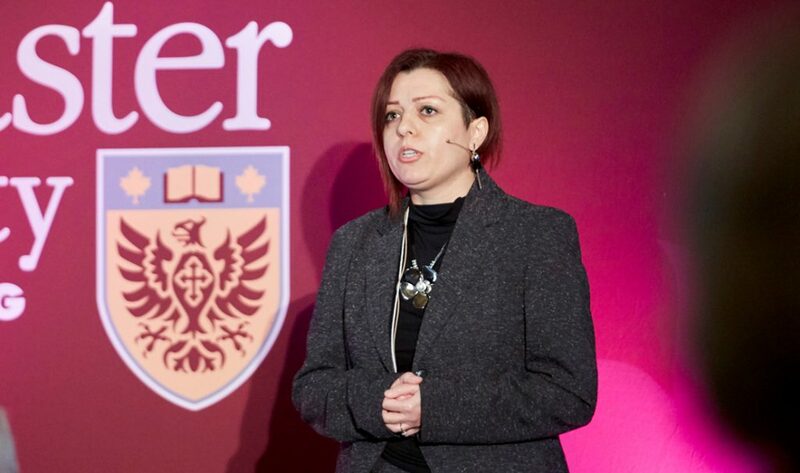 <em>Since 2008, the McMaster Innovation Showcase has raised awareness of the university’s role in helping local businesses and economies grow. Hosted by the McMaster Industry Liaison Office, the event includes keynote speakers, panel discussions, open houses at entrepreneurship hubs and more.</em> <em>Along with highlighting McMaster’s research, the Innovation Showcase also builds and strengthens private-public sector partnerships, and provides a venue for local business leaders and government officials to learn more about the university’s facilities and technology.</em> <em>Biomedical engineer Zahra Motamed is one of the researchers showcasing their work this year. She is an assistant professor of mechanical engineering, and her research focuses on biomechanics and fluid mechanics in relation to cardiovascular disease.</em> <strong>On her research</strong> I’m a mechanical engineer, specifically studying fluid mechanics — of human blood flow. The essence of our life is not actually blood, but the fluidity of blood. Pathologies in cardiovascular science are of mechanical and fluid-dynamic nature, and they are best quantified using mechanics. I want to apply our mechanical engineering knowledge to the field of human health and save lives to an extent that has never been possible in the past. I’m working to develop diagnostic, predictive and intervention-optimization tools for cardiovascular diseases to support personalized interventions and clinical decision making; I’m also involved in developing cardiovascular devices — invasive and non-invasive — such as heart valves and vascular stents, as well as sensors for smart houses and smart vehicles that will monitor blood flow and blood pressure. <strong>What’s cool about her work</strong> Cardiovascular disease is the leading cause of death globally, taking more lives than all forms of cancer combined. In Canada, one in every four deaths is from cardiovascular disease, which costs our economy more than $22 billion every year. I worked for nine years in industrial R&amp;D. Over time, I realized I could better use my life contributing to human health. I started working on blood flow dynamics because I really want to have impact on human health. One project I’ve worked on is coarctation of the aorta, which is a congenital heart disease of newborns. For many kids it can be very painful. It’s important for me that my work has an impact on actual human lives. <strong>On collaboration</strong> A key to success in our field is working with our clinical collaborators. I’m working with clinicians in Spain, at Harvard, MIT, the University of British Columbia and here at McMaster. Our work tackles very profound scientific and engineering challenges, but to translate these engineering findings and development into clinical practice, we need to perform very, comprehensive validation and verification, using patient's clinical and medical images, and their data. Whatever we develop must work with the complex conditions of the large network of blood vessels in the body. Not only is discussing these things with clinicians very helpful, but they work to anonymize their patient’s clinical data and imaging and make it available to us so we can ethically use it to develop our tools. Otherwise, gathering the data we need would involve more invasive procedures, and those come with a risk to the patient. <strong>Outside the lab . . . </strong> I wish I had more free time, but when we can, I love taking my twin daughters to Canada’s Wonderland. There’s a picture of us on a ride there and everyone else looks happy but it’s so obvious from my face how scared I am. I also love to cook — especially baking, which is really fun to do with kids. And I love to read and to swim. <strong>On the page and screen </strong> Right now I’m reading a lot of books about cardiovascular science, but when I have free time I’ve always enjoyed reading books on history and philosophy. The last movie I watched was <em>Something the Lord Made</em>, about the first heart surgeon in the 1930s, a cardiac pioneer who was originally hired as a janitor. It has a really interesting message, and I’d like to share it with my students.